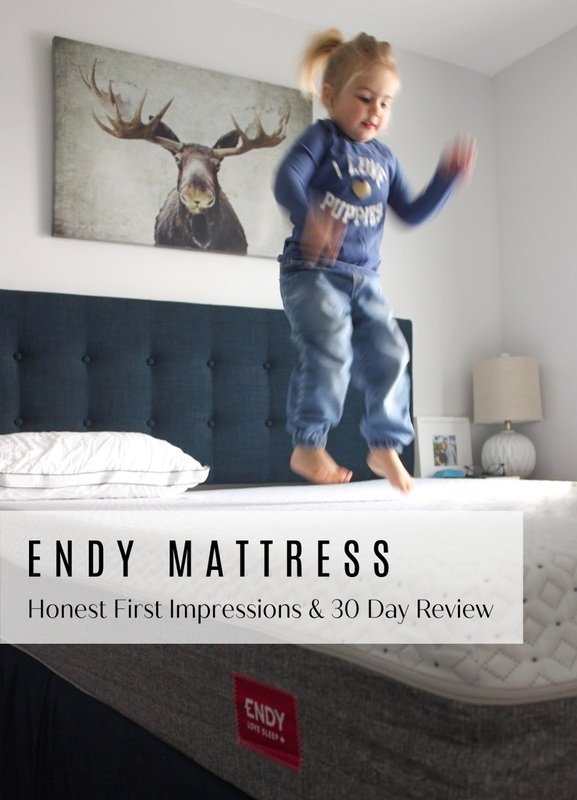 We received our Endy mattress at the end of January, which means it’s time to share our first impressions and 30-day review (plus a discount code so YOU too can enjoy a better nights’ sleep)! And because this is an HONEST review, there’s no one more honest to give it than our 3 year old daughter. Because if we’re in the business of being honest here, she did spend the majority of those 30 nights sleeping on the new mattress. Mom: Were you excited when mommy and daddy’s mattress arrived at the door? Mom: Was it easy to unpack? Did you help daddy? Morley: Ya. No I didn’t. Mom: What was the first thing you did when it was unpacked? Mom: Have you slept on it? Mom: Do you like to sleep on it, or do you like your own bed? Morley: I like to sleep on it. I don’t like my bed because I like to sleep with you. Mom: Where do you sleep when you sleep on the mattress? Morley: I sleep in the corner. Mom: Oh, do you really. Morley: Ya, because you guys sleep on the pillows. I use your pillow. Mom: Do you use my pillow, or do you steal my pillow? Morley: I use your pillow with you. Mom: Do you think you’ll ever go back to sleeping in your own room? Morley: Nah, I don’t like my own bed. Mom: Ok, we’ll see about that. Any final thoughts? Morley: I like it. It’s great! Can I bounce on it one more time? 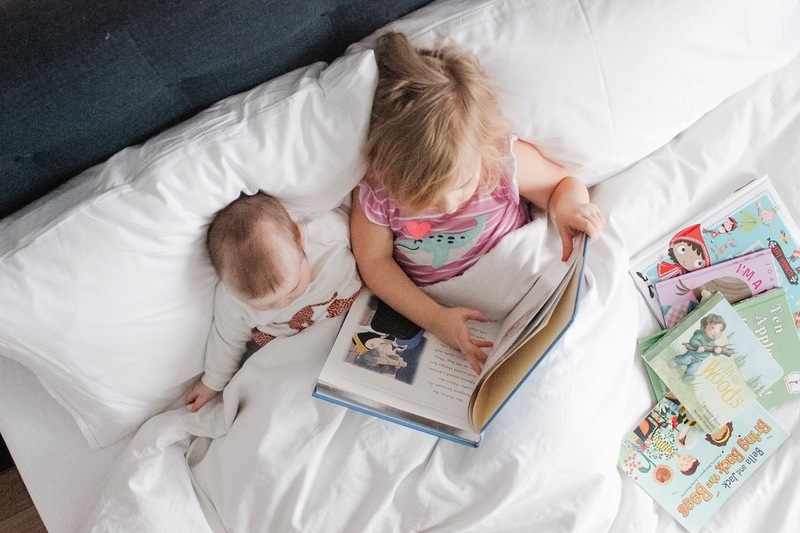 And there you have it, straight from our toddler’s mouth - our new Endy mattress and pillows were put to what we call the “no filter, brutally honest toddler test”. Now scroll down to read mommy and daddy’s (aka my husband and I’s) first impressions. 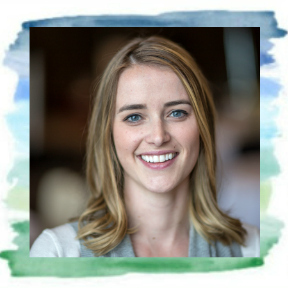 We had been talking about buying a new mattress for some time, but with recently taking on a mortgage, financially it wasn’t really a priority. 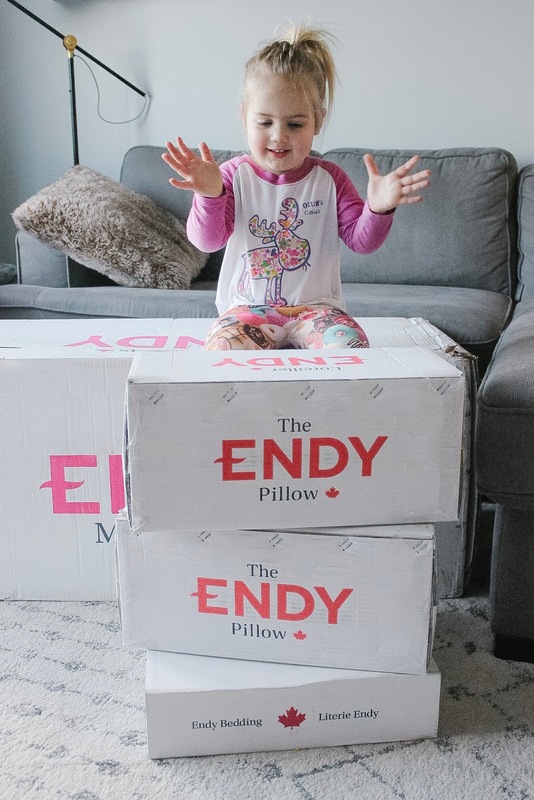 When Endy reached out and asked if we would like to join the Endy Partner family and try their Canadian-made and manufactured mattress, customizable pillows and sheet set, I knew this was our chance to start taking our sleep more seriously. So 30 days in, what do we think? I will admit, it took a few nights to get used to it. Definitely not a bad thing considering what we were feeling was the support that we needed, and that our old mattress clearly lacked. During this time, I was still waking a few times a night to feed the babe. And by a few I mean every 3 hours. BUT, I noticed that those few hours at a time that I was having were getting better and better. I started falling asleep quicker AND feeling more rested when I woke. Yes, that combo is a parent’s dream. In all, we’re very happy with how the first 30 nights went and are looking forward to many more nights of good sleep. Stay tuned for my 100-night review and final thoughts later this spring! 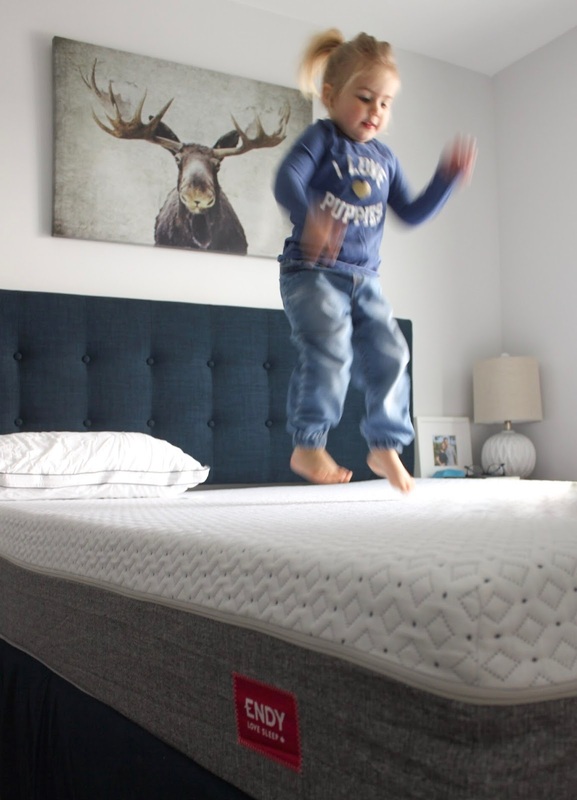 Do you own an Endy mattress? Let me know your experience in the comments below. If you’re thinking of buying one, feel free to ask me any questions you have! 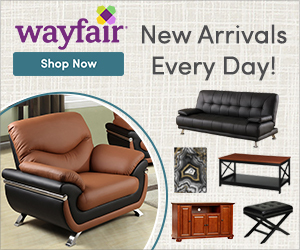 Are you looking for a better night’s sleep? Use code TOANDFRO50 for $50 OFF your own Endy mattress (of any size). *Disclosure: I received this ENDY sleep set in exchange for my honest review. All opinions are 100% that of To & Fro.